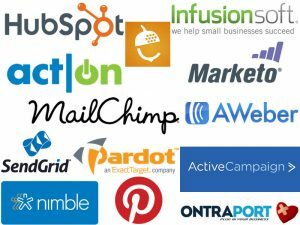 11+ Most Popular Marketing Automation Tools - Which to Choose? 11+ Most Popular Marketing Automation Tools – Which to Choose? Marketing Automation aims at streamlining the marketing process to generate and qualify leads rapidly at a large scale. The type of automation can be as basic as email marketing to complete CMS (Content Management System) with lead generation & qualifying tools. With tons of features also comes a huge cost. Today, marketing automation can start from 1$ to several thousand dollars. Many tools do give free initial services to give you a head-start but as soon as you start planning at a scale you are will have to spend some bucks to keep things under control. With more than 200 MAS (Marketing Automation Software) available, it becomes impossible to review every product to make a final purchase decision. So from where exactly should you begin your review process? 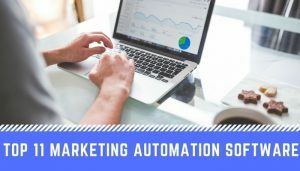 I have compiled a list of 11 most popular marketing automation tools that have a proven track record of success and have tons of features to give your digital marketing a leap forward. Read about: 5 Most Important Measures in Online Marketing. Marketo is a full-fledged advanced marketing automation software designed for large companies in general. The software comes with lead generation and management tools and offers integration with many popular CRM and CMS. From email marketing and campaign management to social media marketing, Marketo has a solution for every enterprise need. When it comes to pricing Marketo is on the higher end of the scale. Marketo starts at 895$/mo and it’s complete package costs 3195$/mo. It is suitable for medium to big companies but is not usually affordable for small companies. HubSpot is a marketing automation software that also has the benefits of a CMS. At its core, HubSpot is a software designed for beginners in the field of marketing automation. It doesn’t have very advanced functionalities but packs an all in one solution so you don’t have to manage 10 things at the same time. If you are planning to use content marketing than HubSpot can be an ideal choice as it already describes itself as an inbound marketing software. You can design email workflows, automate lead nurturing, map content and social strategies and a lot more. It is an ideal choice for startups and small companies who are still figuring out the scale at which they will use marketing automation. As for pricing, the entry cost is as low as 200$/mo which is cheap for the all-in-one functionality it provides while its enterprise version costs 2400$/mo. Infusionsoft is another all in one marketing automation software minus the CMS facility. Both Infusionsoft and HubSpot promise similar packages and pricing. Infusionsoft also starts at 199$/mo and its complete package costs just 299$/mo which sounds like a steal deal. Where Infusionsoft gets irritating is the compulsion to buy their Kickstarter package which costs 999$ at least. Spending this kind of amount in just the beginning of the purchase feels really cringy. It is a great buy if you want a cheap software that handles all your marketing needs at a beginner level. But you will have to trust them with their one-time costs which sounds way too much. Pardot is currently acquired by Salesforce, even if I stop just here, you will know that it has one hell of a CRM integration. If you prefer to use Salesforce for your core CRM needs that Pardot will complement it very nicely. Apart from integration with Salesforce and ability to score and manage leads, it offers a powerful marketing software with very strong functionalities. It is primarily built for B2B businesses and starts at 1000$/mo. Pardot’s core functionality is unlocked in its core package which costs 2000$/mo. It has a very neat interface which is very easy to master. This makes it a decent choice if you have a good budget and want to kick start marketing early. Eloqua is an elite class marketing automation software with clients like American Express, LinkedIn etc. The name Eloqua was later changed to Oracle Marketing Cloud when Oracle acquired it in 2012. It was launched in 1999 when many top players had not emerged in the market. One of the most liked feature of this software is its hypersite builder which can build microsites very easily. Eloqua’s campaign builder is very neat, visual and easy to use. Its pricing starts at 2000$ which is considerably high against its competitors offering similar services. It is built for big companies which have a decent budget and can afford to handle a costly marketing automation software from the very beginning. Content is an indispensable part of marketing and no matter which marketing automation tool you use, you well need a versatile content strategy to succeed in marketing automation. Know the different types of content in content marketing. SharpSpring is a flexible mid-budget marketing automation tool which gives you high functionality at a competitive price. One great thing with SharpSpring is that it offers its complete solution from the very basic level at the cost of 400$/mo. They don’t have very long term contracts and offer a very simple user interface. They are ideal for agencies as it is easy to rebrand and has some unique features for agencies. It is definitely a high price compared to some marketing automation software but since you get the call and site tracking in the basic plan itself it is definitely worth investing. One downside is the lack of proper social monitoring and publishing tools which many others offer at this price. Act-On is an all in one marketing solution with powerful inbound and outbound marketing capabilities. Right from SEO to lead nurturing and funnel optimization, Act-On takes care of all the needs of a growth oriented marketer. Its pricing starts at 600$/mo but you get good usability from it once you move to the better package of 900$/mo. It is a middle ground between Pardot and Infusionsoft. If you are an adventurous marketer with good budget than Act-On can be a go-to platform. But if you want to play safe than you can do better with HubSpot or InfusionSoft. Featured in 2016 Ready to Rocket list and Fall 2016 Marketing Automation Software Grid report, Wishpond is a rising marketing automation tool. With lead generation tools like landing pages, forms, pop-ups, contests and more, it offers a great number of options for list building. Along with lead building, it also enables lead nurturing and drip campaigns. It starts at $69/mo and goes till $199/mo. It is a very feature rich and fun to use tool. Contests is one of the most innovative tool that it offers and marketers love this idea. It is new in the market but seems like a promising automation tool. At its core, Active Campaign is a drip email automation tool. You can trigger email workflows based on subscriber’s interaction, interests, behavior, location, history and more. Once combined with OptinMonster or LeadFormly you can trigger campaigns based on subscriber’s behavior on the website. Active Campaign is a great tool for complete beginners with a very low budget. It is available at a cost of 9$/mo and even its enterprise edition costs just 149$/mo. It is not as powerful as complete marketing automation tools but it completely justifies its price. Autopilot is a visual email marketing automation tool. From drip emails to SMS to in app messages autopilot takes care of behavioral messaging with ease. Its visual design and intuitive interface make planning campaigns easy. It also offers integration with Salesforce and other CRMs using Zapier. Autopilot is a very proactive tool for designing any kind of email campaign. It offers the option to create loops in a workflow which even full fledged packages like HubSpot are not able to provide. Its pricing starts at 25$/mo for 2500 contacts and increases according to the number of contacts. If you just want to automate the messaging part of your marketing then Autopilot is a good choice. AWeber is a marketing automation tool that can ease your email marketing. It is very dynamic and offers a wide array of templates to choose from. Like other drip email marketing tools it offers features like autoresponders, split testing, RSS to email, data segmentation and a lot more. AWeber is a solid player in the market and promises rapid growth. It starts at $19/mo and reaches till $149/mo for 25000 subscribers beyond which you will need to contact support. AWeber faces tough competition from tools like Getresponse, MailChimp, Campaign Monitor etc. If you are starting with email marketing then it is great but if you want complete marketing automation than it may fail to satisfy your needs. 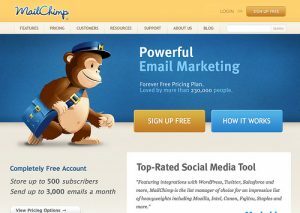 MailChimp is a start-up friendly email marketing automation tool. It’s forever free plan allows users to send up to 12000 emails to 2000 contacts every month. But free in no means that you will have to compromise on quality. It gives access to a wide range of themes and analytics even to the free users. The difficult part is when you expand your database over 2000 contacts. For only 5000 contacts the cost increase to approx. $50/mo. With a paid plan you can send unlimited emails but that is not a very strong advantage as usually small business don’t send more 6 blasts in a month. Overall MailChimp offers good deliverability, insights, and features all in a highly intuitive interface. It also offers good educational content to speed up the learning process. Aritic PinPoint is another integrated marketing automation software that has the benefits of an automation tool, CRM, CMS, and support – all rolled into one. With a set of highly advanced customer behavior-centric automation features, Aritic PinPoint is essentially user-friendly. If you are planning to have inside-out tracking and monitoring of your anonymous visitors or leads or existing customers, activating them from one lifecycle stage to another, and convert them into brand advocates, this solution deserves a thought. You can design email workflows, do 360-degree lead profiling, automate lead nurturing, map your content and social media strategies, and align your sales, marketing, and support teams. Improve your team productivity and the overall marketing ROI with deep-rooted and dynamic segmentation, multichannel marketing (SMS, emails, web, push, mobile, and landing pages), and account-based marketing. Aritic PinPoint comes at standard pricing of $79/month for up to 1,000 contacts. As your contacts increase, the pricing plan goes up. Bonus: You get to use multiple email delivery servers on Aritic PinPoint for your email marketing campaigns. Zero-onboarding charges; free up to 200 contacts. Get a demo or signup for a free trial to get started. The choice of marketing automation tool depends upon individual requirements, budget, plans for future and number of team members. 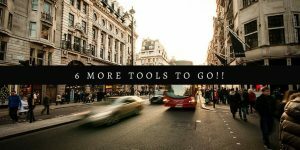 From the above list of 11 marketing automation tools, you can make an informed decision. If you are looking to best utilize these tools than do read: How to use marketing automation for small businesses? Good luck with your marketing! !